So, I got the weekend off to a lovely start with a pre-natal massage after work on Friday. I had it done at the same place where I’ve been taking my pre-natal yoga class (which ended last week). It’s a very calming place and I’m sad that I won’t be going there routinely anymore. The massage was a Hanukkah gift from my sister and her boyfriend and I’d been saving it for the 3rd trimester when I knew I would need it most. The therapist kept me laying on either side snuggled up to a long firm body pillow and worked first on one side and then the other, neck to feet. I did feel very nice and relaxed when she was done, but not nearly as jello-y as after a full-on non-pregnant massage where I can lay on my back and stomach. Just another thing to look forward to after Cupcake’s arrival, I guess! Saturday was our professional photo shoot. It was insanely windy and after some heavy rains during the week, the cherry blossoms at the location we had picked were all done. Fortunately, the magnolia trees were in full bloom, so we had fun posing under and among them. Our lovely neighbors came along to act as photo assistants, which primarily involved holding big fabric light reflectors to boost the natural light on the photo subject. Now just imagine a piece of 6’x3′ fabric in a frame and strong wind. You can see why things ended up being challenging! Our photographer friend told us we can bug him in a few days for the results, and we will be sure to share a few of them. Sunday we completed the nursery. There was one final piece of furniture that we needed for storage and after a trip to our local IKEA, we came home and set it all up. I suppose at some point we might put some artwork on the walls, but for now it’s DONE. We both feel pretty ready at this point, although the car seats won’t be professionally installed until next Tuesday. Come on Cupcake, we’re ready to meet you! We’re extra happy today because our dresser was delivered (it took about 6-7 weeks). 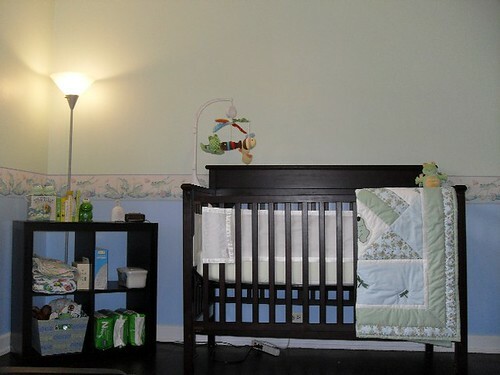 Now Cupcake will have a nice changing area and we can organize the nur.sery. 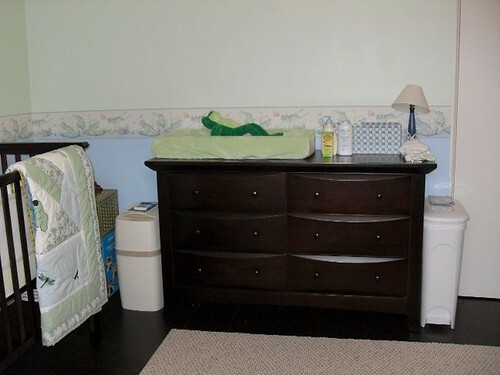 I did a big “baby” laundry yesterday and put all the onesies and things in the new dresser today. The “nur.sery formerly known as a mess” is now turning into a regular nur.sery with less piles o’ stuff laying around. Until our next shower anyway. We are seriously short on storage space and the little guy isn’t even here yet. As for diapers, we have a good start on things. We have some packages of 7th Generation disposables for the first couple weeks…until the umbilical cord falls off. 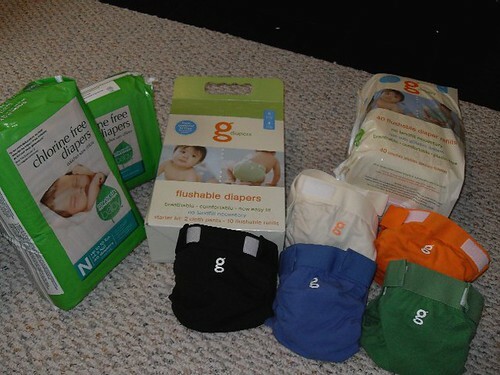 Then we’re switching to gDiapers. We have several “gpants” and disposable liners in our possession and hope to increase our supply by the time of Cupcake’s birth. 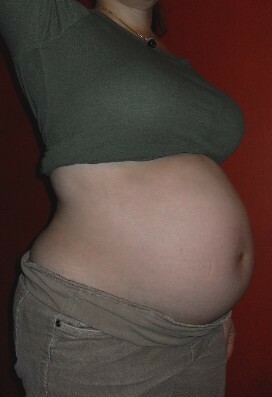 Leaving for our 1-day-short-of-35-weeks midwife appointment in just a bit. We hope to share some nur.sery pictures soon, now that we have all of the necessary furniture. Today we went out to a “baby megastore” listed as one of the top 20 in the Baby Bargains book. This is the second store we’ve gone to at the advice of Baby Bargains, since the first store was good- better than BRU. Baby Bargains is somewhat of a bible to us now. We cannot, in good faith, add anything to our registry or even so much as think of purchasing a baby-related item without consulting THE BOOK. So we went to the store, and everyone else is also carrying THE BOOK under their arms. It makes us all seem like tourists in babyland, albeit well-prepared tourists with a good street map who can kind of speak the language. There is no picture that exists on the entire interweb of the 6-drawer dresser we bought. 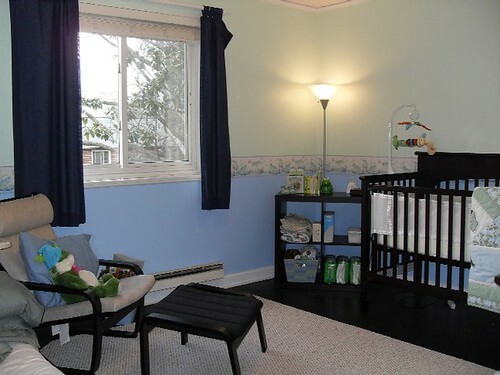 So you’ll just have to imagine it until we’re able to post nursery pictures soon. The store’s delivery estimate was 10-14 weeks. If it takes 14 weeks, we’ll hopefully already be changing the baby on the floor. Luckily, many people have said to expect it much earlier than that. 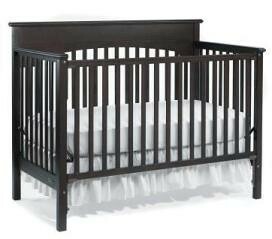 The set-up: Strawberry and Nutella bought a crib online on Sunday. Estimated delivery date was next Thursday 1/22. However, on Wednesday evening of this week Nutella got an email with a tracking number. Despite refreshing all day Thursday, the shipping company website didn’t even indicate that it had been picked up from the warehouse. The scene: Chez Strawberry and Nutella, 8:30am this morning, coldest windiest day of the year. Strawberry is all bundled up and ready to walk out the door for work. I guess we have our work cut out for us this weekend! I took the day off today (it was a free day for me actually) to paint and put the border up in the nursery. My mom came to help and together, we completed a decoration makeover worthy of HGTV. Whoever came up with pink and blue? We went to a couple wallpaper stores this weekend, in search of a border for the nursery. The room is already minty green, and we want to put a frog-themed border up in the middle and paint the bottom part a watery blue. We were both pretty appalled at the gender separation applied to wallpaper, knowing this is really just the tip of the iceberg. There were books with boy sections and girl sections, and in the ones that didn’t separate them into sections, there were wallpapers broken out into the girl version, the boy version, and the I-don’t-know version. Ugh. Anyway, we did both agree on a wonderful border, which was in fact, the girl version because of the softened color palette and thin purple edges. 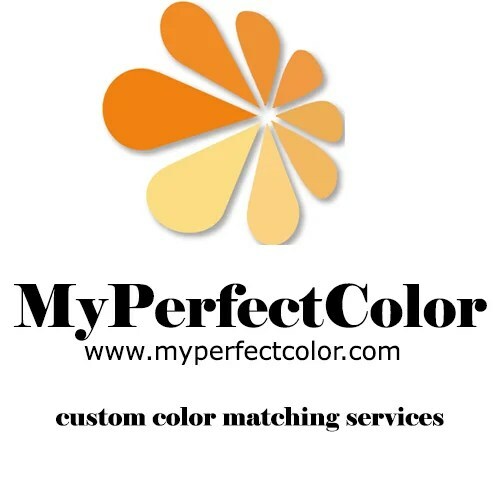 It happened to match our paint colors better and we couldn’t care less about which gender the wallpaper people think it applies to. I’m going to take a day off soon and do the painting and bordering, though we have a bit of cleaning to do before then.